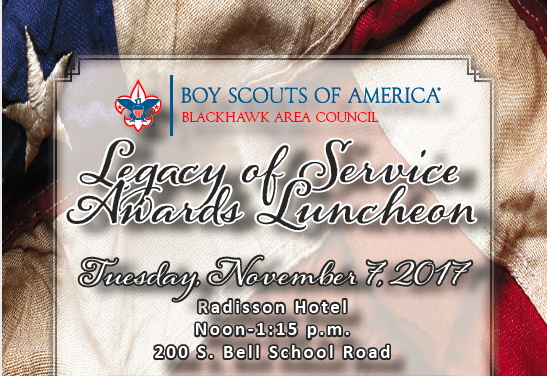 The Blackhawk Area Council will be hosting its annual Legacy of Service Luncheon on November 7th at the Radisson in Rockford at 12:00pm. 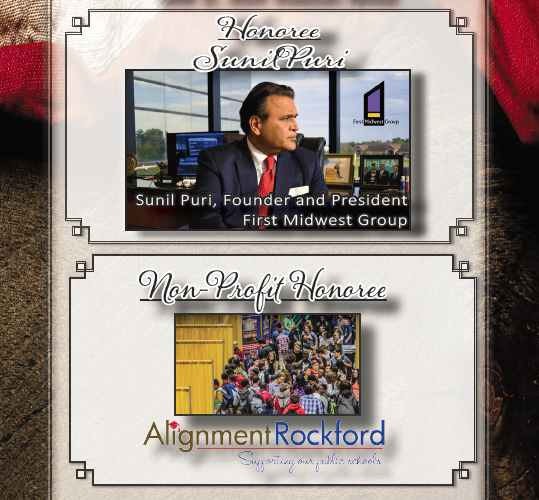 This event brings together community members and leadership to honor individuals and/or organizations in the Rockford Community that live a life of service through serving our country in the armed services or providing impactful service to the community. The proceeds from this event support the ScoutReach program in Rockford that provides the benefits of Scouting to at-risk youth who would otherwise not be able to afford to be in Scouting. This program is Council funded and it costs roughly $45 per youth annually to provide this program; and over 3,000 youth are served annually in the ScoutReach program. The more money we raise for this program, the more at-risk youth we can serve in the community. We hope you will consider attending and helping us to further provide this great service to the community! For questions, please contact Dane Boudreau at dane.boudreau@scouting.org.